There is no room for fantasy and wishful thinking in serious discussion of the Islamist threat. 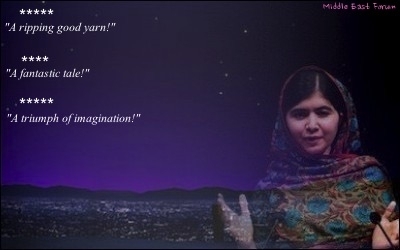 Two aspects of Malala Yousafzai's speech delivered to a packed [Canadian] House of Commons April 12 were notable. The first was her failure to mention Stephen Harper, let alone thank the former prime minister who was behind the move to grant her honorary Canadian citizenship. But it was what Malala said about Muslims and Islam that was both inaccurate and lacking in total honesty. Referring to the 2014 killing of Canadian soldier Cpl. Nathan Cirillo by Muslim radical Michael Zehaf-Bibeau, Malala said: "The man who attacked Parliament Hill called himself a Muslim — but he did not share my faith. ... I am a Muslim and I believe that when you pick up a gun in the name of Islam and kill innocent people, you are not a Muslim anymore." The problem is Malala's words, while eloquent, are in conflict with the reality of today, and incompatible with 1,400 years of Islamic history. Malala's eloquent words conflict with both the reality of today and 1,400 years of Islamic history. Yet the speech drew applause from the audience, hungry for any medicine that would dull the pain caused by the growing cancer of Islamic terrorism. That said, when it comes to Islamic history, someone might have asked Malala about the 17th-century Ottoman Caliphate's siege at the Gates of Vienna, or perhaps the 11th century plundering of India by invading Islamic armies of Central Asia. But since she is all but caged by her PR handlers, the media seldom get to ask her tough questions. For example, would Malala say the Arab invasions of Persia, Jerusalem, Damascus and Egypt, "had nothing to do with Islam"? Did the 17th-century Ottoman Caliphate's siege of Vienna have 'nothing to do with Islam'? How about the slaughter of Prophet Muhammad's very own family? Or the assassinations of three of the first four caliphs of Islam by Muslims? Within hours of Malala's speech, a young Muslim journalism student inspired by Karl Marx and Che Guevara, from Malala's ancestral Swat region of Pakistan, was lynched. A Muslim mob of university students accused Mashal Khan Yusufzai of being an Islamophobe. Because he was a Muslim, he had thus, in their view, committed blasphemy. The 23-year old student was shot, beaten to a pulp and was about to be burned before police intervened, while the bloodthirsty crowd shouted "Allah O Akbar." Earlier in the day, as Malala spoke in Ottawa, all MPs, including 12 Muslims who had voted for Pakistan-born MP Iqra Khalid's motion M-103 against "Islamophobia," cheered. When I asked them to comment on the "anti-Islamophobia" lynching in Pakistan, not one responded, not even the three born in that region. If there was any more evidence needed to show how M-103 can be misused as a tool against secular Muslims commenting critically on Islam, Mashal Yusufzai's death provided it. What is required from us Muslims is a bit of truth and honesty. Qur'an (47:4) "When you meet the Unbelievers (kuffar) in fight, smite at their necks; At length, when you have thoroughly subdued them, bind a bond firmly on them." Quran (8:12) "Remember your Lord inspired the angels: 'I am with you: give firmness to the Believers (Muslims): I will instill terror into hearts of the kuffar. Smite them above their necks, and smite all of their fingertips off them'." It is time for all of us to be truthful instead of living in Lalaland.